Chimneys that have started to lean, tilt, or pull away from the house can be a very dangerous problem. Often, chimney issues such as cracks in the brick or masonry or water leakage through the chimney are a sign that the foundation under your chimney has started to shift or settle. Reliable Waterproofing & Masonry performs chimney repair. Leaning or Tilting: If the foundation cannot support the weight of the chimney, it may start to settle, causing the chimney to lean away from the home. Pulling Away from Siding: This indicates that the foundation under the chimney has started to shift, taking the chimney with it. Cracks in Brick or Masonry: Cracks can form due to settlement, shifting, excess moisture, damage from debris during storms, or aging. Fireplace Leakage: Leaks are often the result of chimney cracks or of the chimney pulling away and leaving a gap between the chimney and siding. Chimney Settlement: This is another sure sign that the foundation under your home is suffering from settlement. These are some of the issues that can occur when the foundation under your home fails to support the chimney, or when the chimney is damaged by weather or age. Whatever the issue, Reliable Waterproofing and Masonry has the solution. 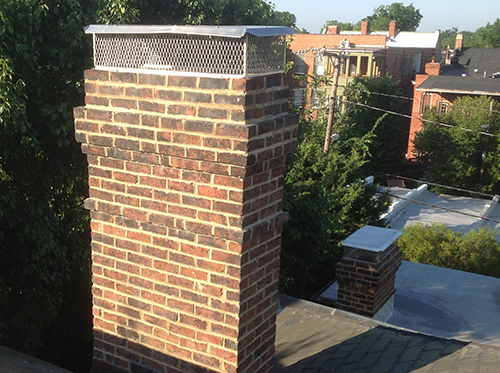 We offer both foundation lifting services and brick and masonry repair to combat these problems in your chimney. For sinking and settling chimneys and foundations, we offer underpinning with helical piers or steel push piers. These piers are supportive devices that are designed to drive deep underground until they reach the deepest layers of soil, which offer much more support than the top layers. Once installed in the ground, the piers can be lifted hydraulically to raise the chimney and foundation to the correct positions. If you are dealing with cracks and leaks in your chimney, we can help you out with our numerous masonry repair services. 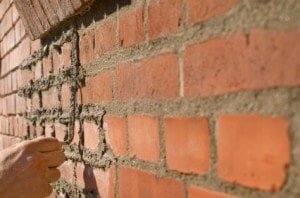 These services include masonry repair, brick re-pointing, and crack repair. For more information on any of these repair options, contact our team. We are proud to offer our services to the state of Virginia.